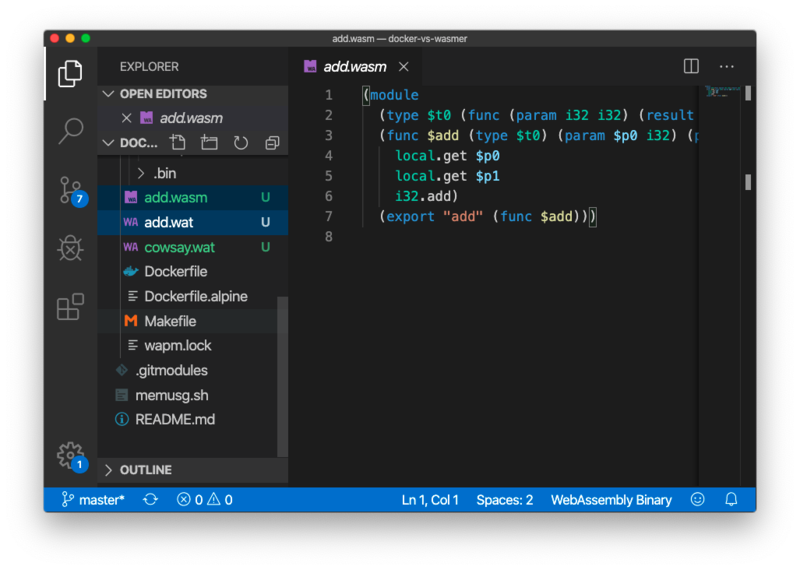 Visual Studio Code>Programming Languages>WebAssemblyNew to Visual Studio Code? Get it now. Syntax highlight for WebAssembly textual representation. 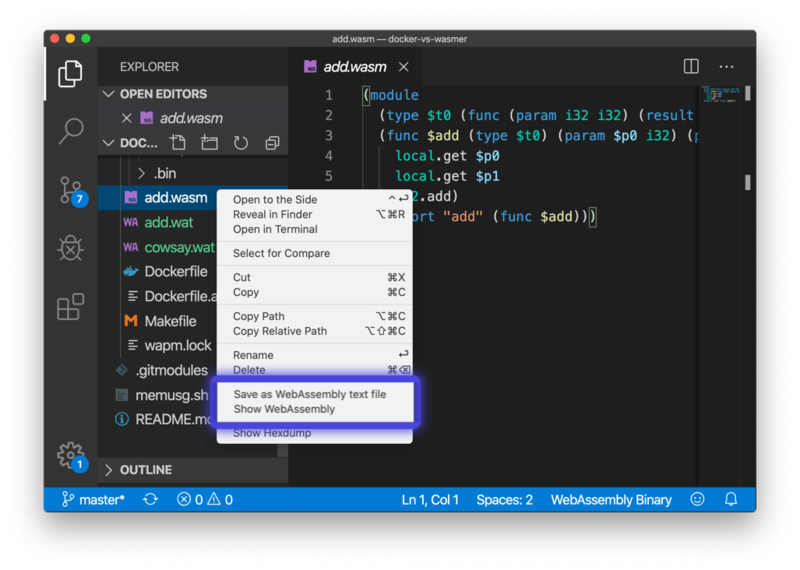 Preview WebAssembly Binary files in 2 clicks. Fast convertation between text and binary view.